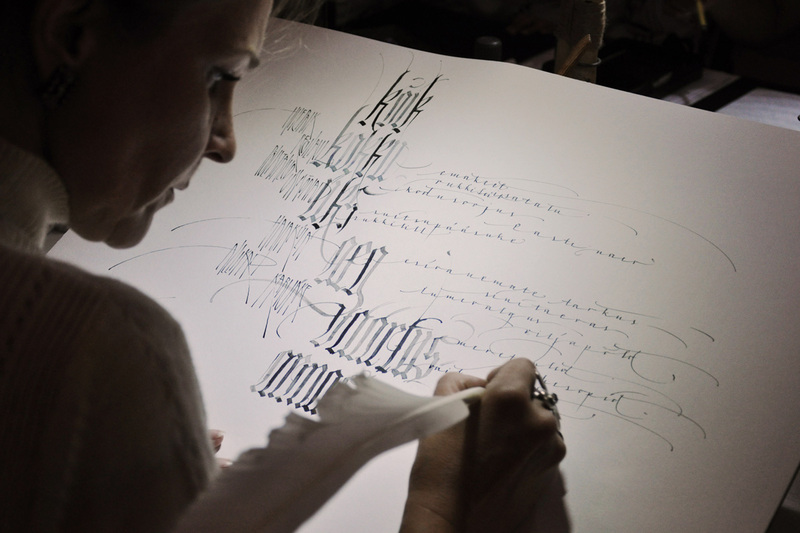 Calligraphy is just so much more than beautiful writing. 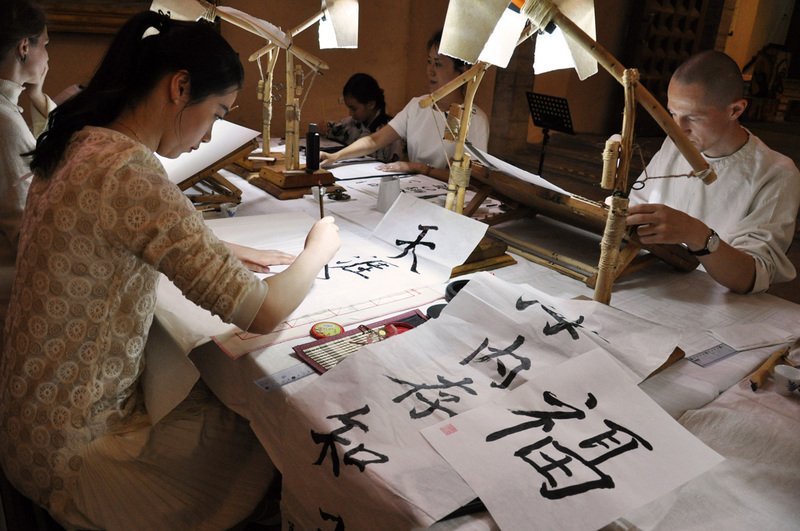 It is an art form which brings together gracefully shaped letters in harmonious composition. 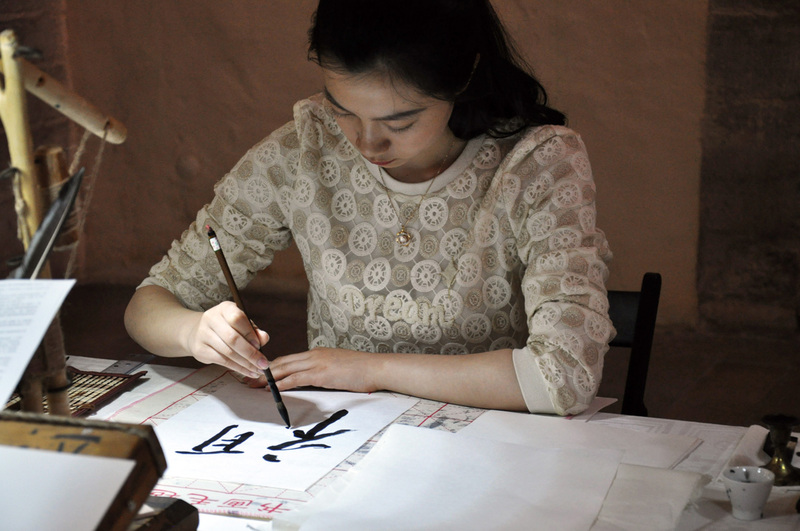 It is a channel for language, filled with history and stories. 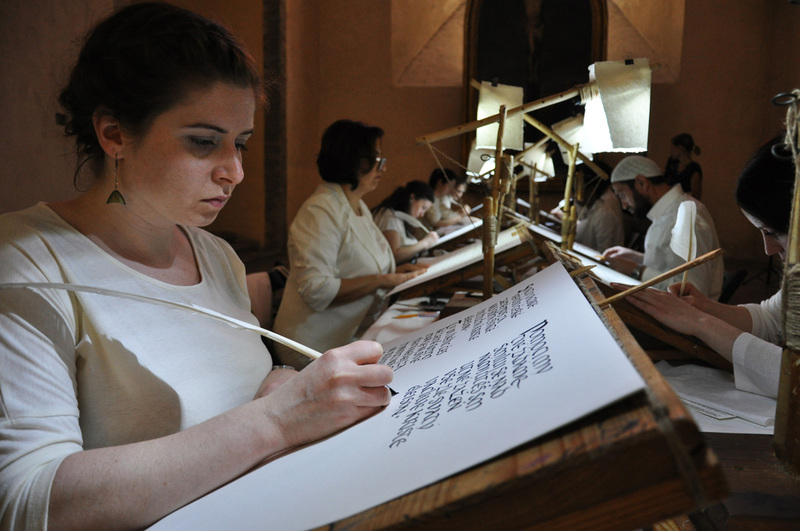 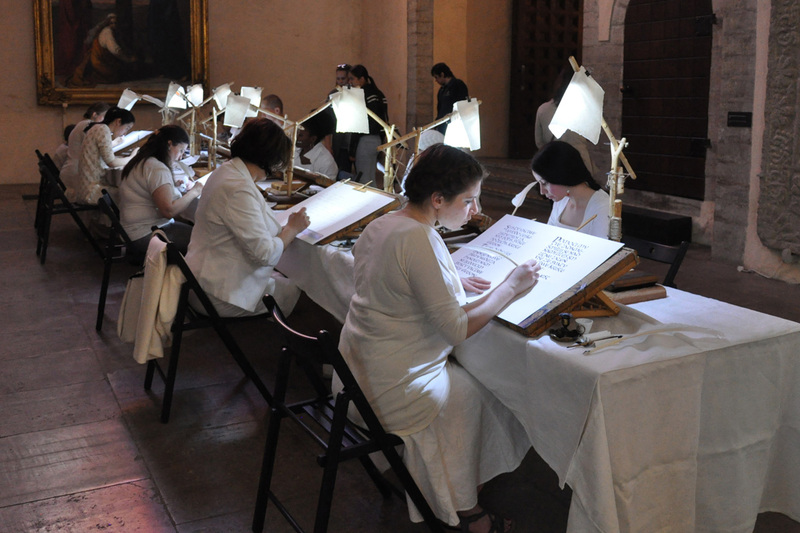 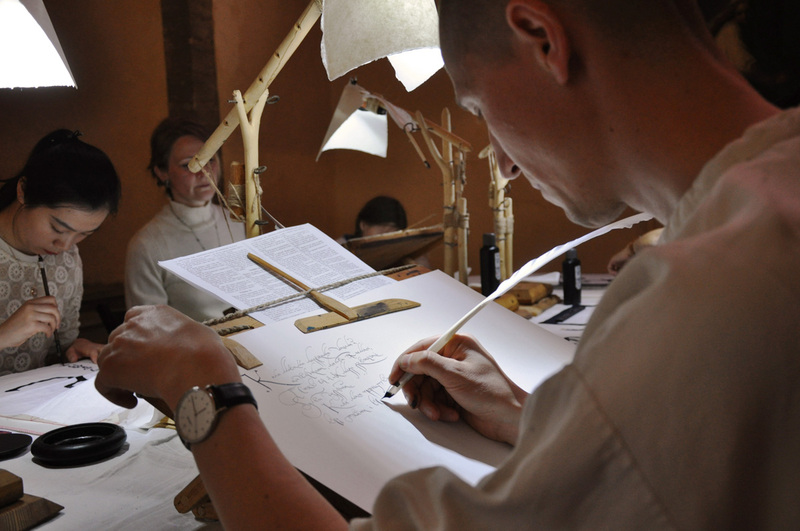 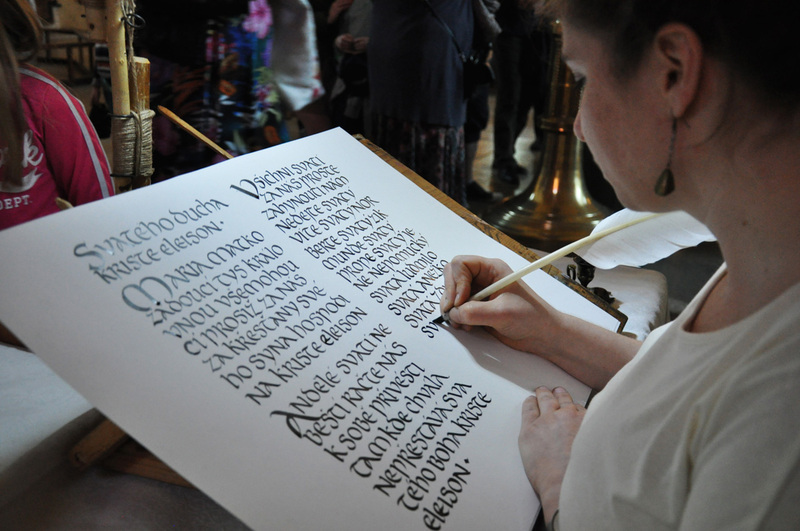 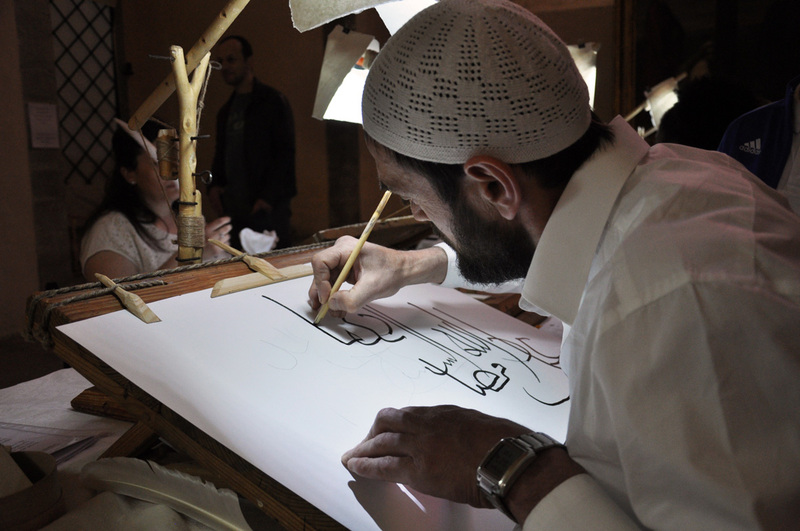 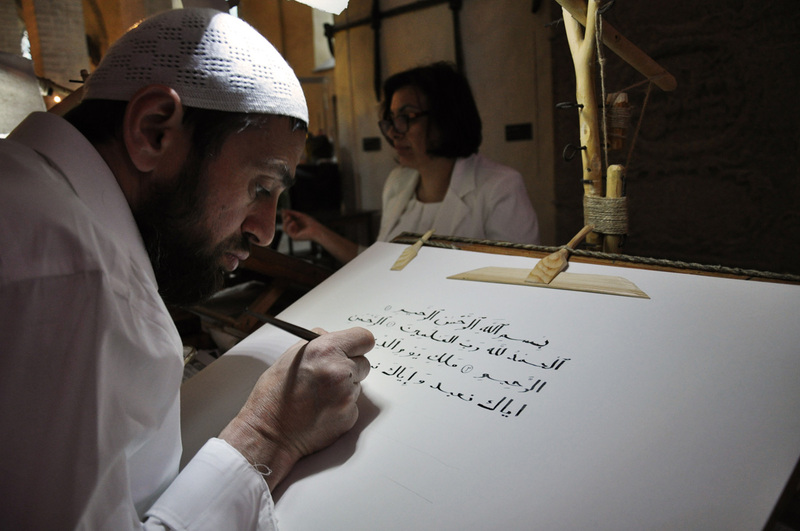 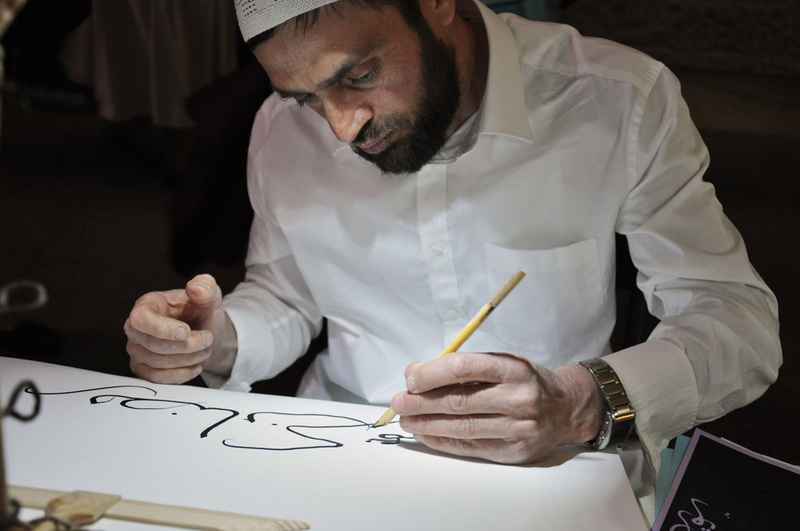 Calligraphy requires both practice and focus. 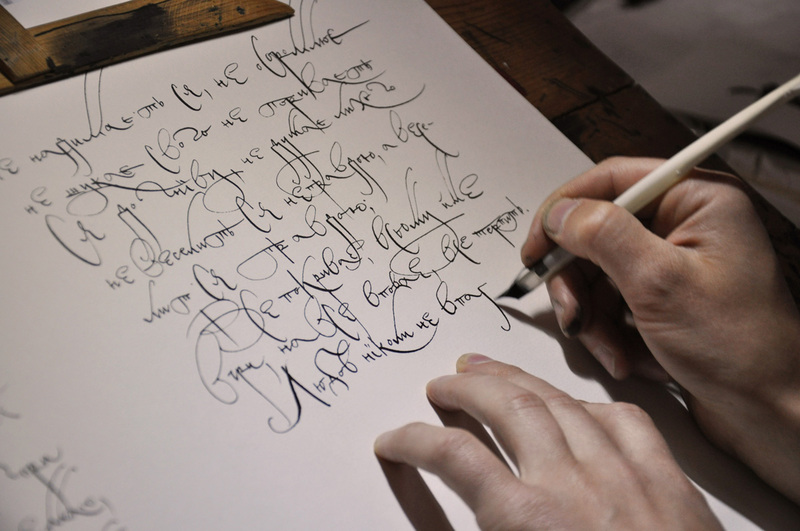 When fused together thus, writing becomes a form of meditation where even your surroundings can cease to exist. 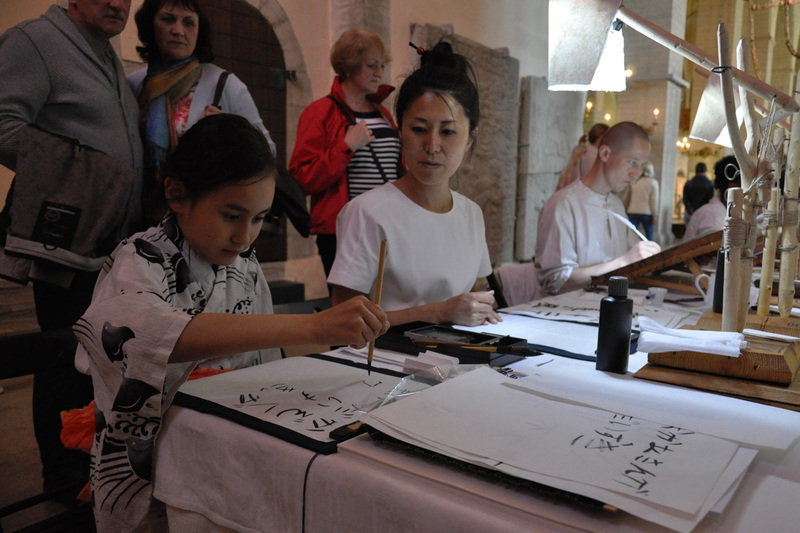 Our “Brush with Silence” event achieved exactly this otherworldly atmosphere through the careful combination of concentration, serenity, and silence. 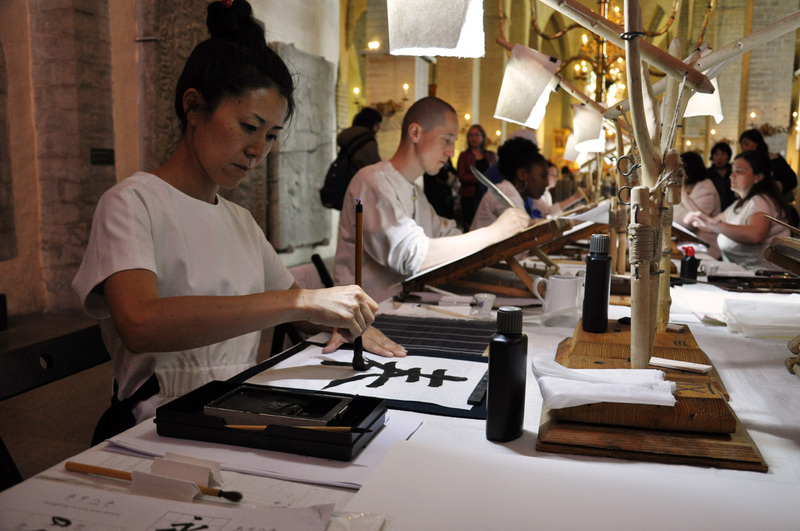 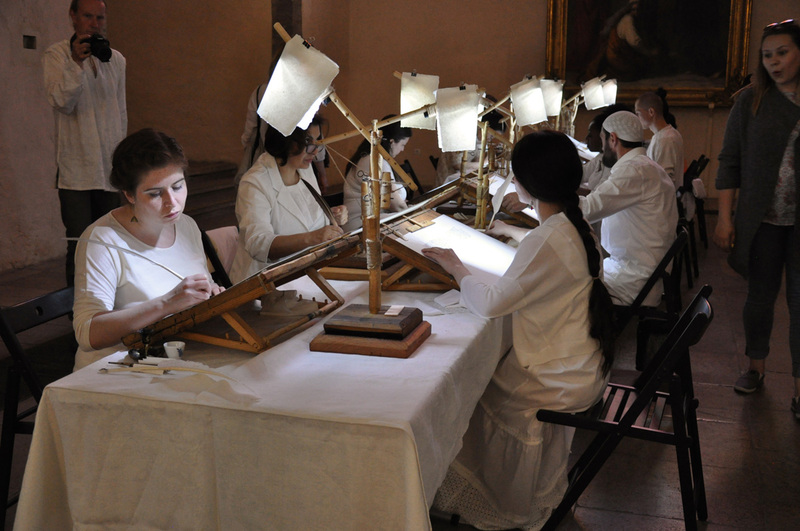 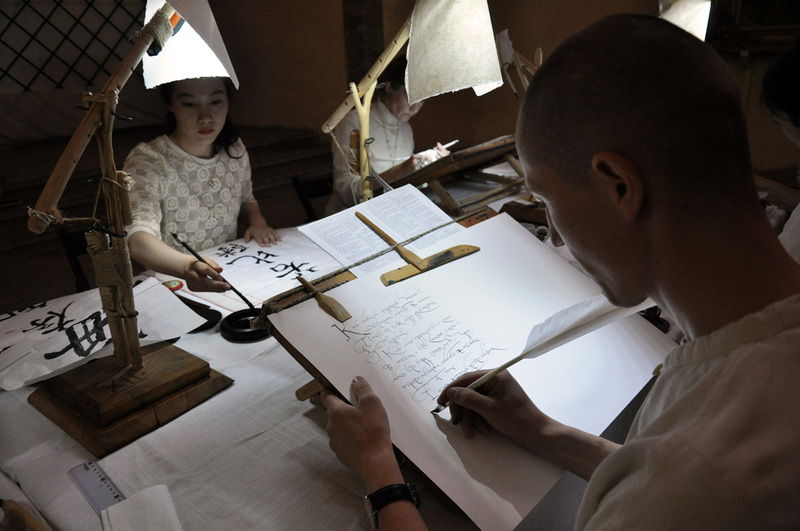 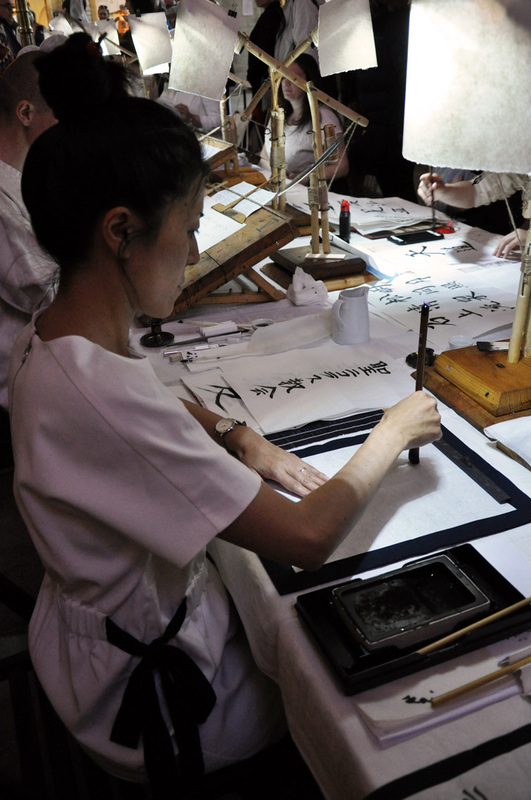 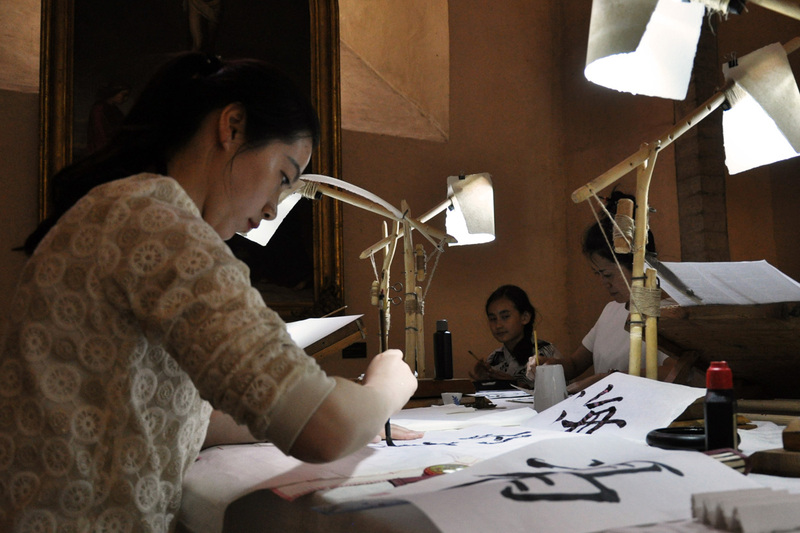 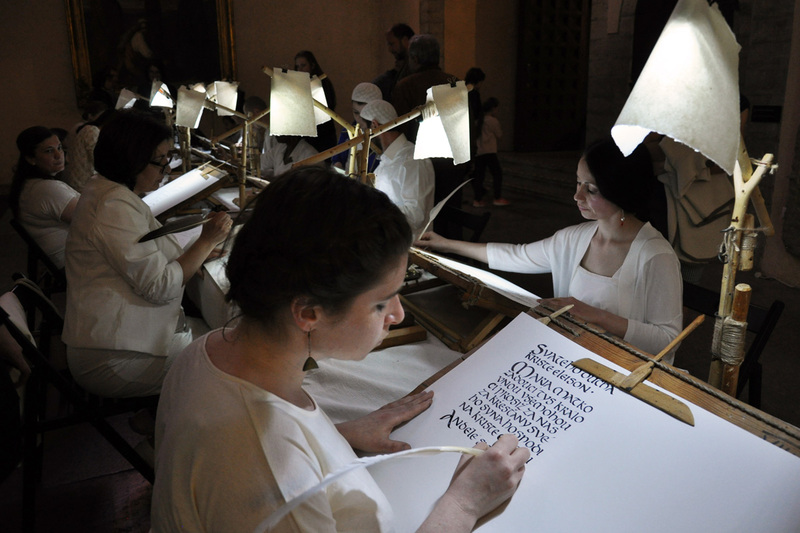 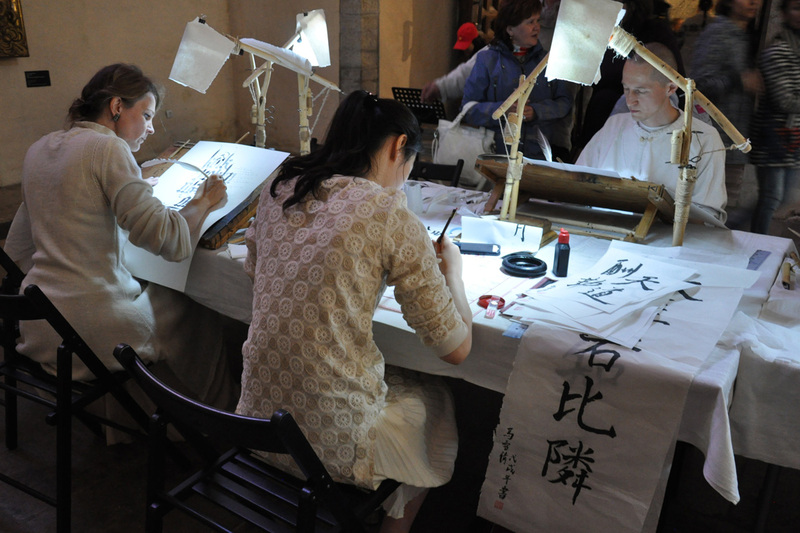 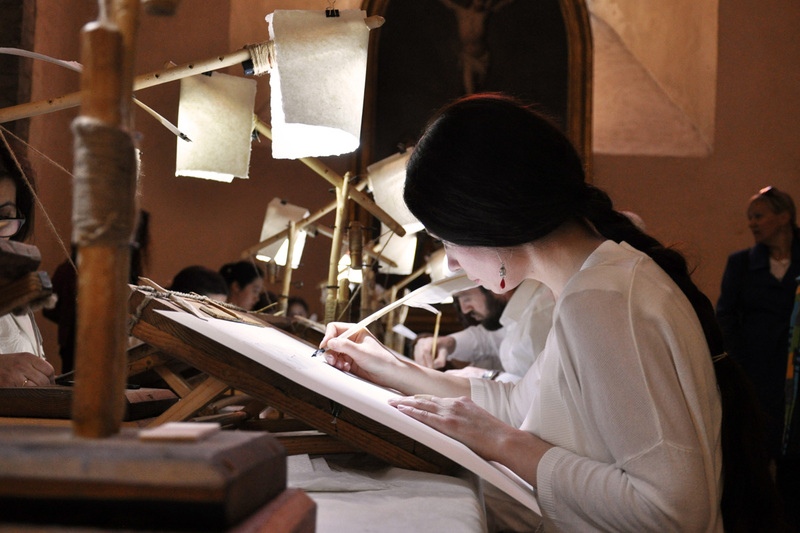 Imagine ten calligraphers gathered together to represent their cultures through the art of calligraphy. 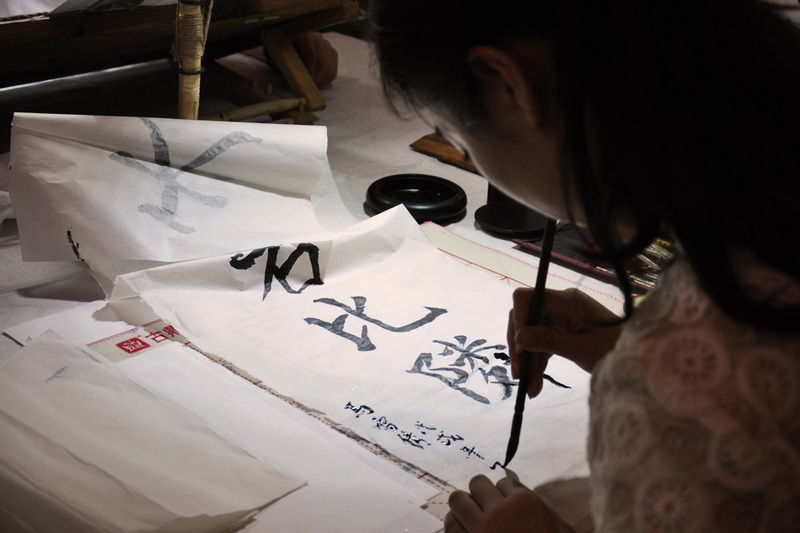 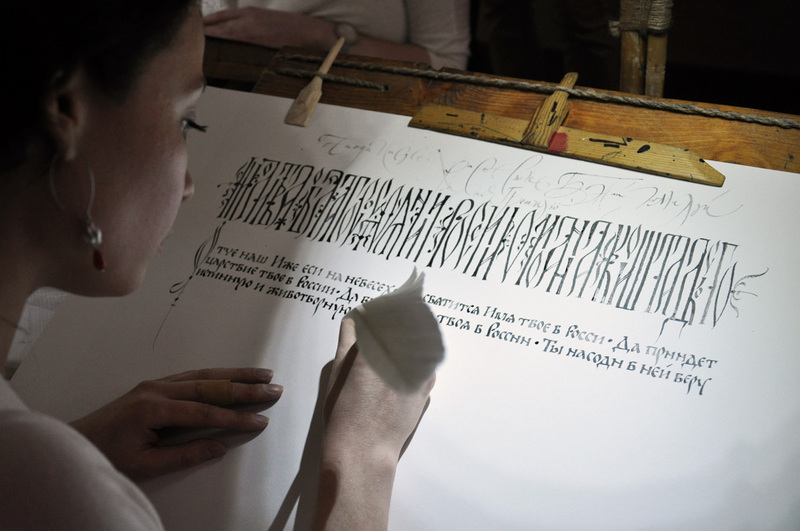 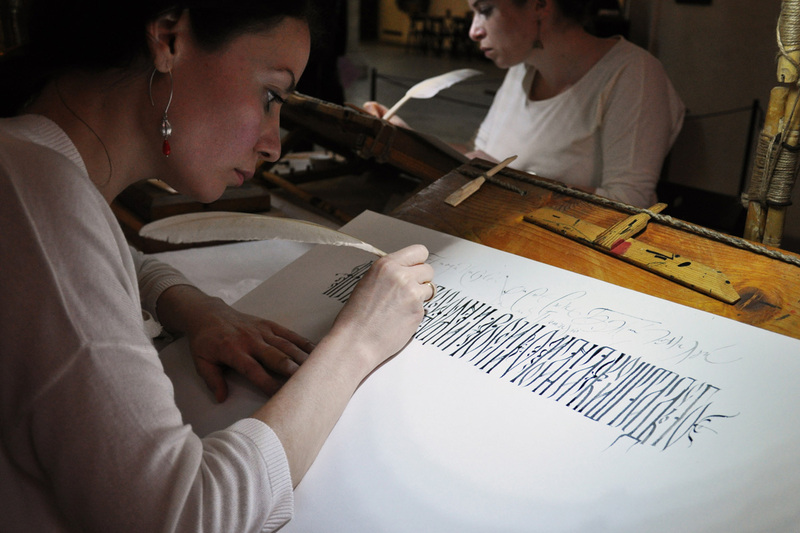 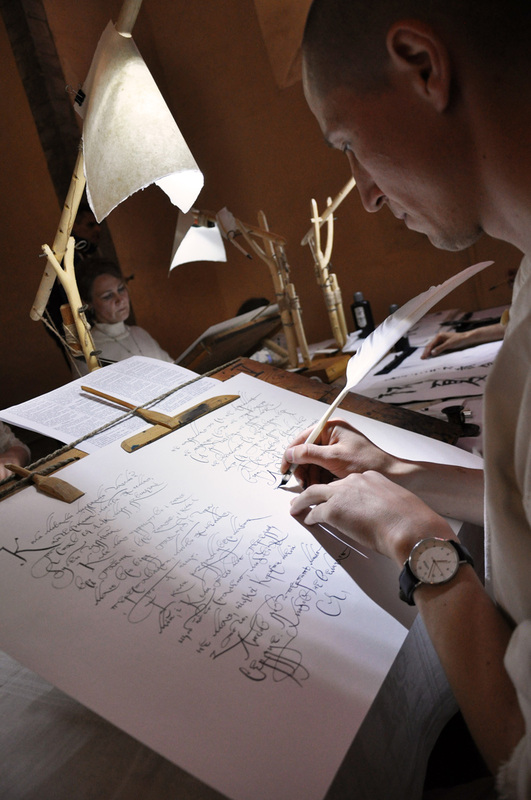 Each calligrapher uses her or his own language and its specific script to transform words into art. 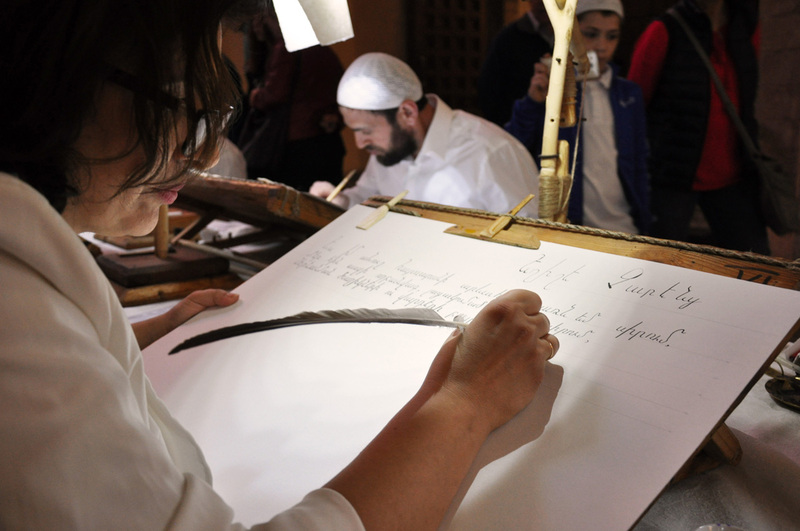 Every one of their carefully chosen words then gives voice to an important cultural text, a prayer, a story, or simply a creative train of thought. 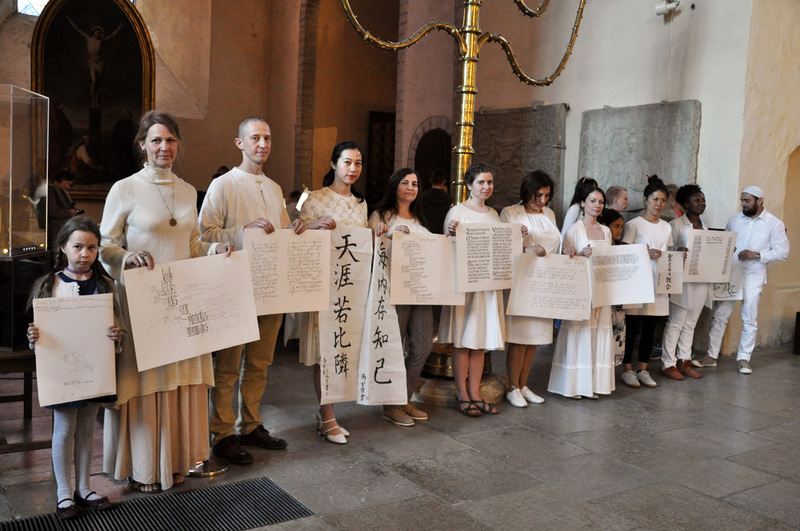 The languages represented on this particular night included Estonian, Russian, Japanese, Chinese, Arabic, Georgian, Armenian, Portuguese, Czech, and Ukrainian. 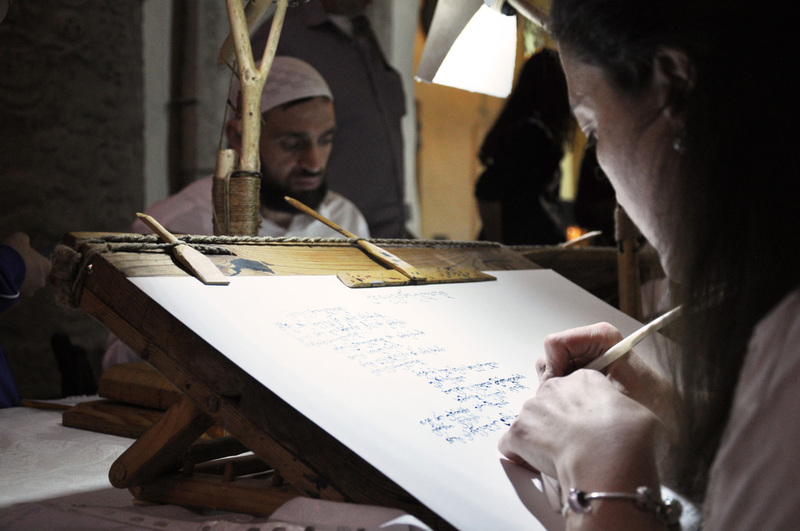 All the calligraphers sat united around one single table, dressed in white, silently speaking their own culture’s unique stories through the motions of their scripts. 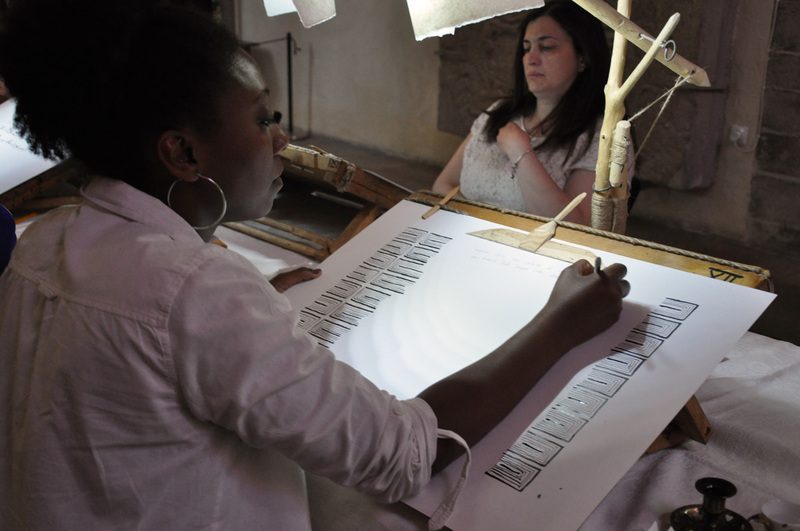 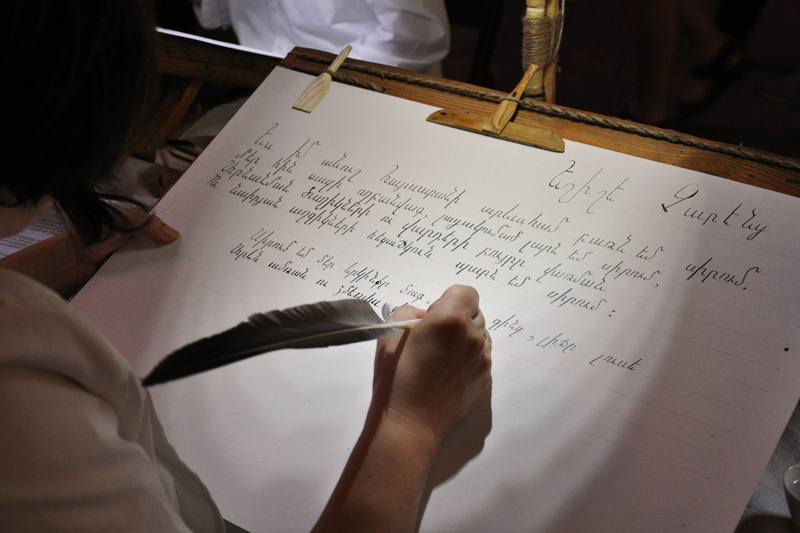 Those visitors who entered Niguliste on Museum Night were able to move around the long table, speaking in hushed voices, as they lingered and admired the beautiful letters appearing on the white sheets of paper before them. 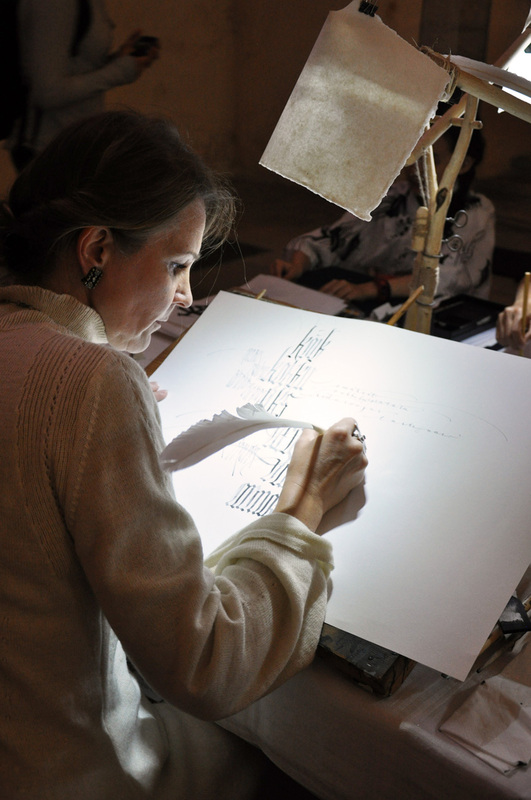 Those two hours flew by much too quickly. 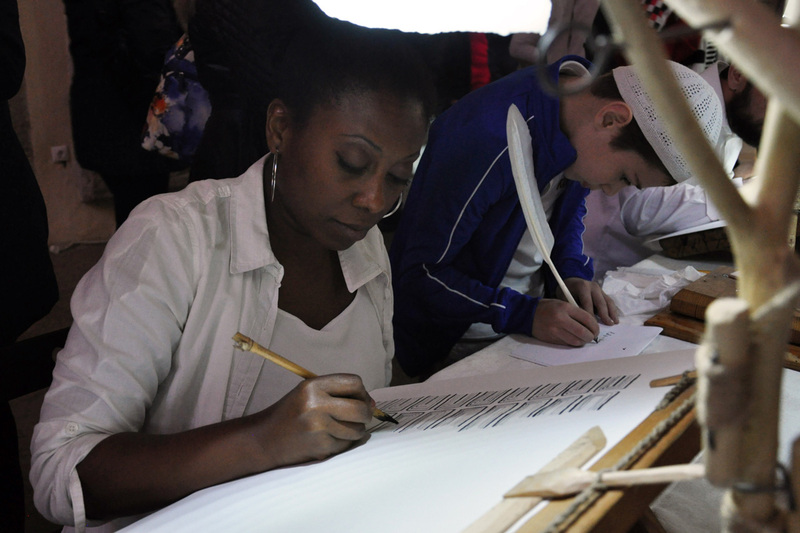 All that remained the next morning were those same white sheets of paper covered in ten different languages and in almost as many different scripts. 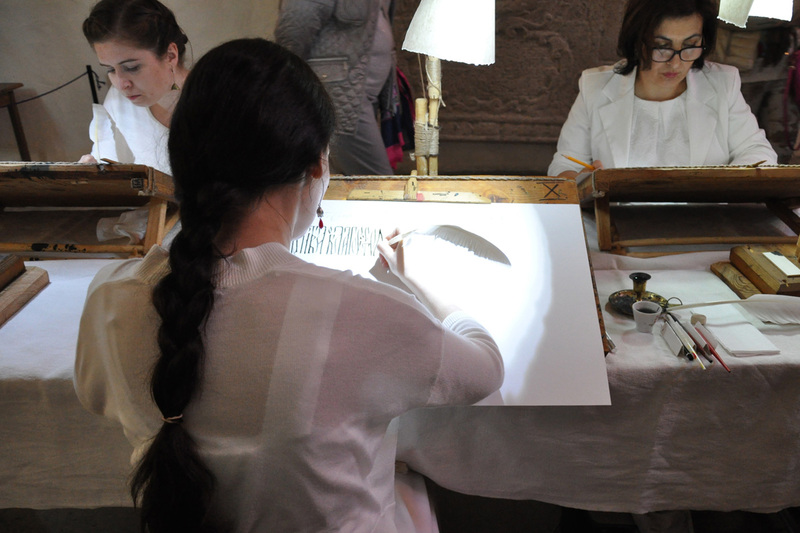 If you missed “A Brush with Silence” at Niguliste on Museum Night, don’t worry. 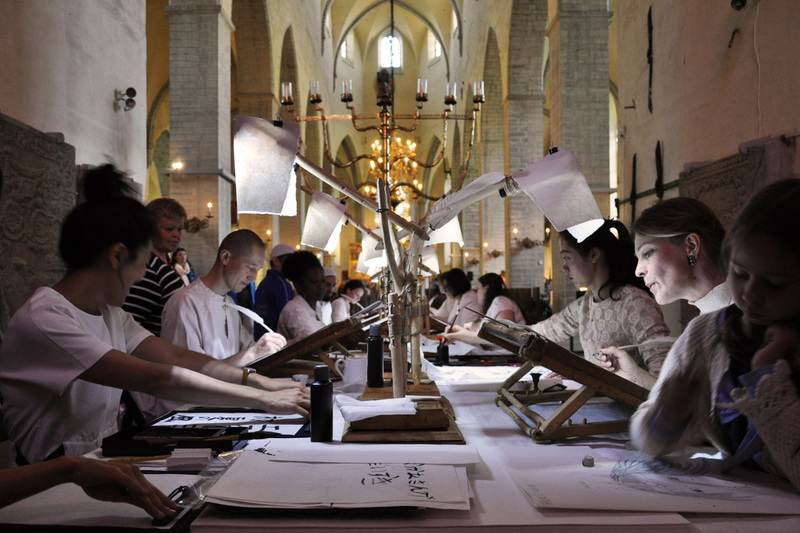 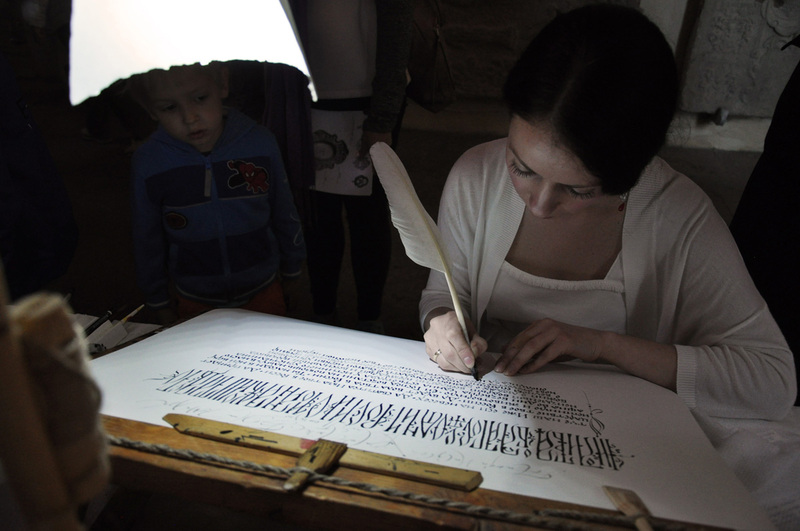 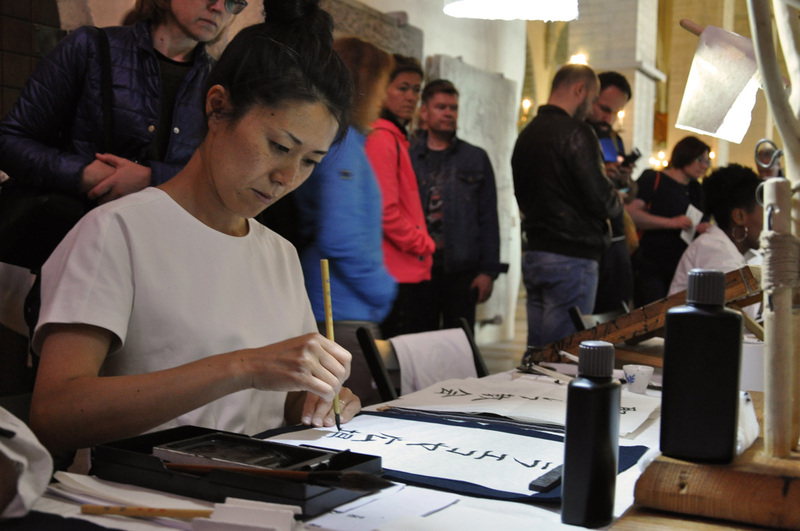 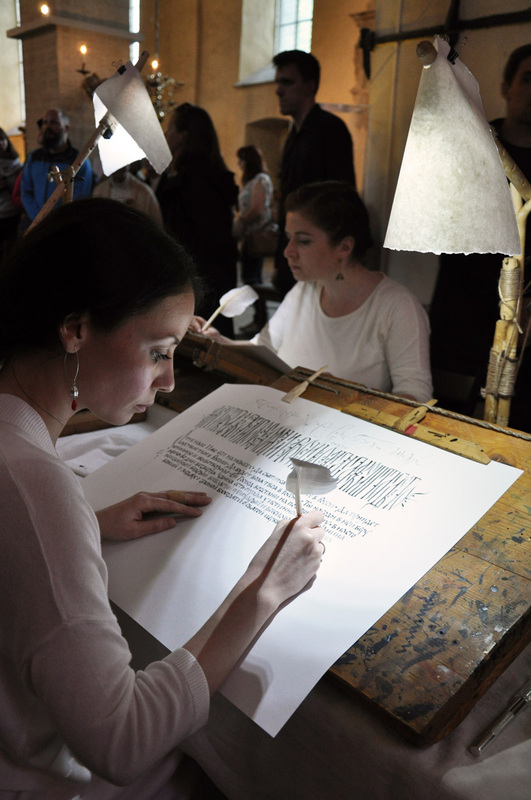 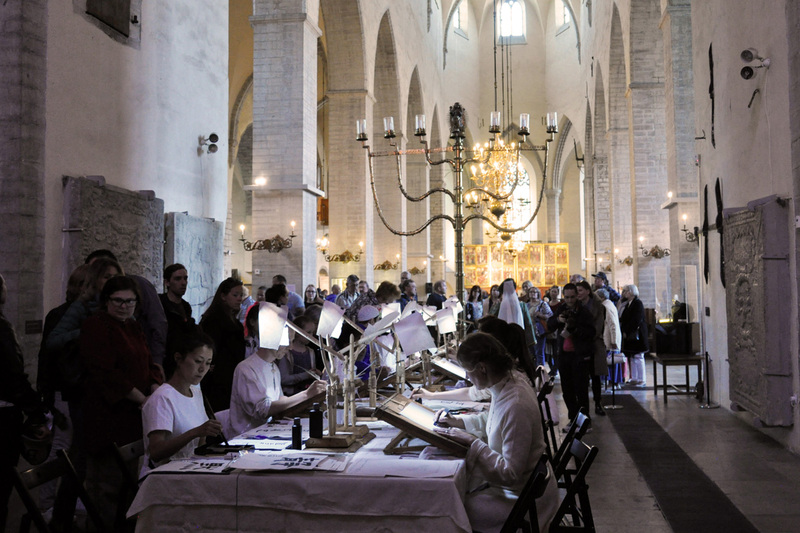 You will get another chance to see the art work we created when the Tallinn School of Calligraphy hosts its annual calligraphy exhibition next month. 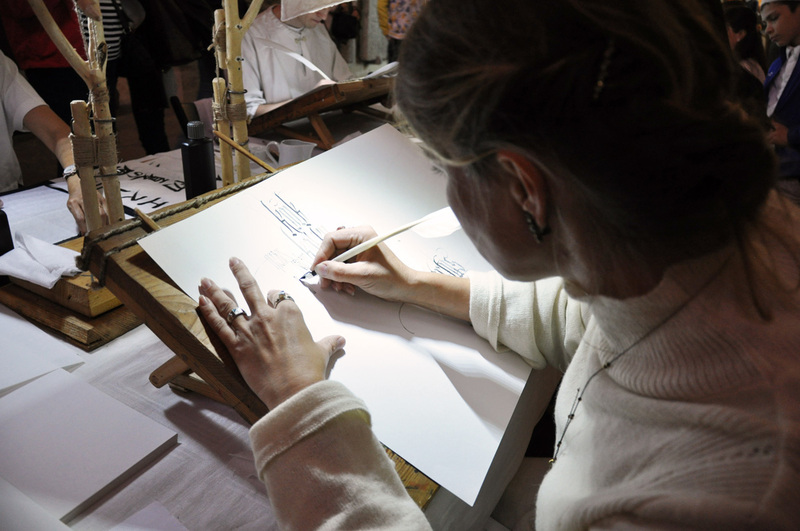 And please take a moment look at our photos from the event in the gallery below. 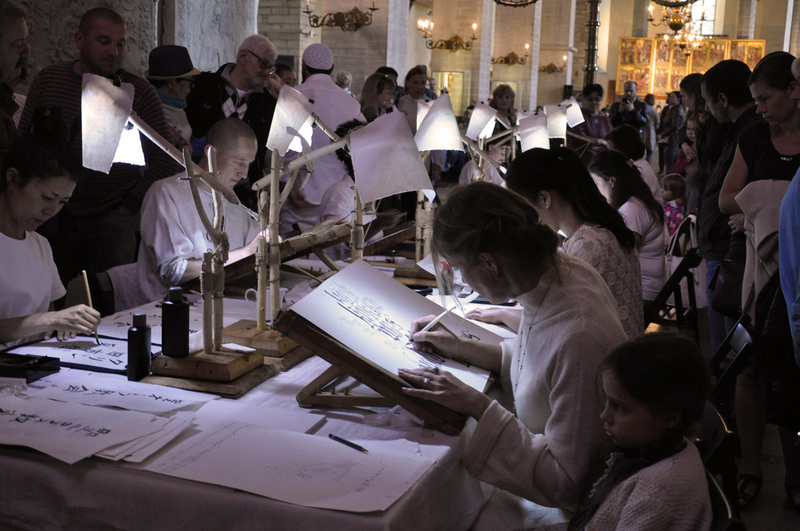 Perhaps they might have captured just a small bit of the magic that took place that night …. 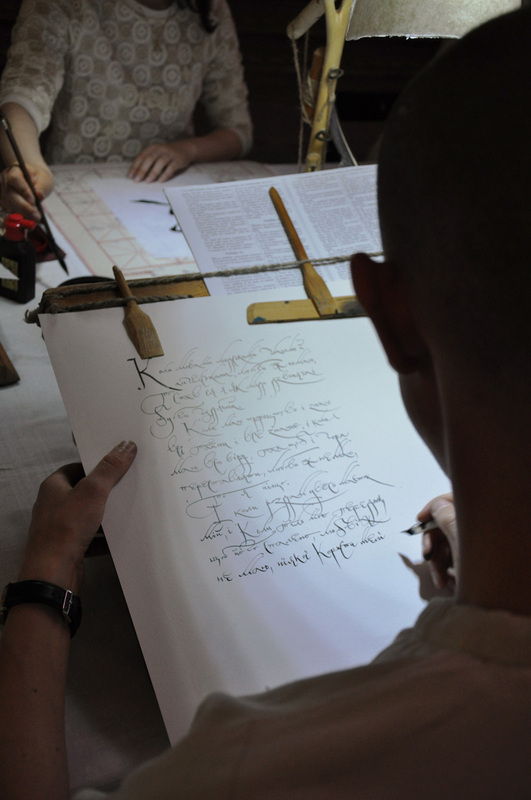 We would like to send out a big thank you to Brody Neuenschwander, the author of the original concept, for inspiring our event. 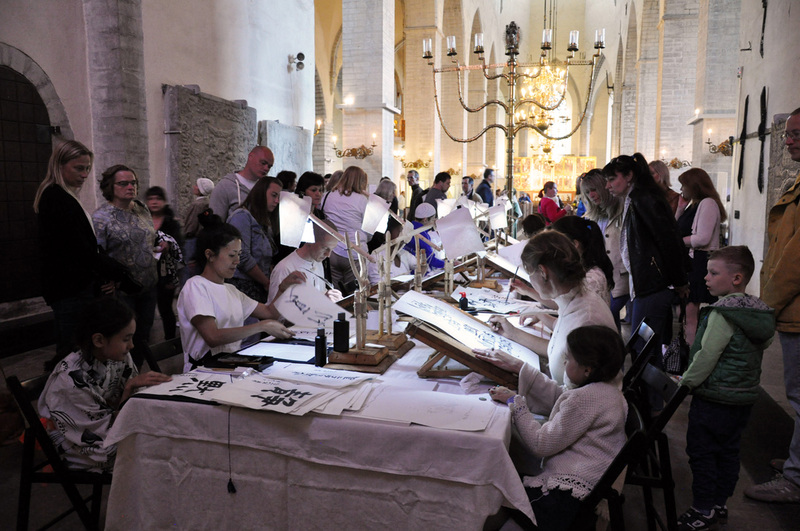 If you are experiencing problems displaying the gallery, please see the Estonian version of this article.